Residents of Bolo location, Nyakach in Kisumu County on Monday morning woke up to a shocking incident involving the disappearance of a woman’s body. 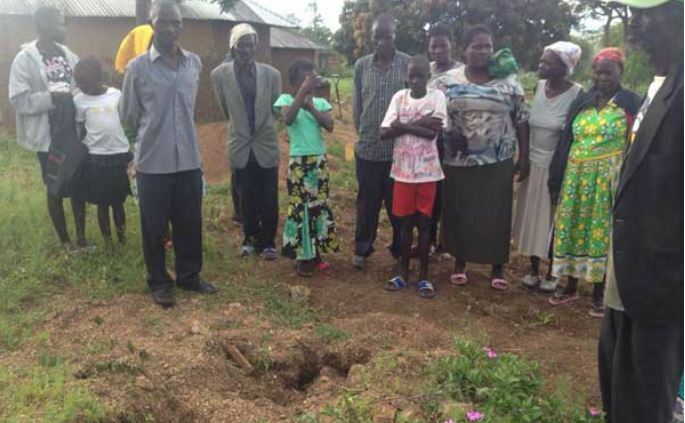 The body of Ms Joyce Auma had been buried two years ago but villagers on Monday found an empty coffin in an open grave. Since Monday, villagers have been pondering why the grave, which was just a few yards from the family’s main house, was raided. Michael Okello, the deceased’s father, said there had been no quarrel over land or place of burial, and ruled out the possibility of assailants using that as a reason for raiding the grave. “She (Ms Auma) had had three unsuccessful marriages, her former husbands who had abandoned her neither attended her burial nor claimed her body,” Okello told the Nation. He explained that Auma had a turbulent marriage. Her in-laws from Migori County confiscated her family property and sent her away after the death of her first husband in 2011. She then returned to her father’s home in Nyakach and remarried two years later but the marriage was again short-lived. Later, she got married to a man from Seme, Kisumu County, but the union broke after she fell sick. Area Chief Zedekiah Okello said the matter had been reported to the police but investigations were yet to yield any positive results. By Thursday, the villagers were still worried by the mysterious disappearance of the body from the grave. This being the Easter month, some locals compared the incident to the resurrection of Jesus Christ. The area chief said they suspected some people might have raided the grave for some ill cultural act.